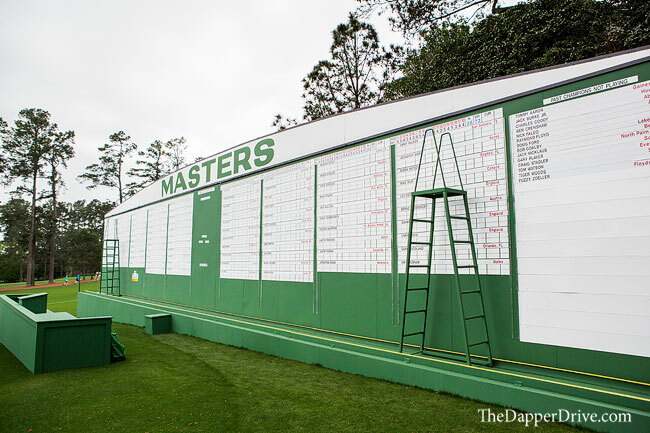 So you’ve landed your first set of Master’s badges (aka tickets) and you’re headed to Augusta National. Congratulations! Excitement level is inevitably at an all time high (and it should be). 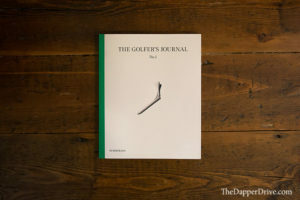 This is golf’s holy grail we’re talking about after all, and these are some of the toughest tickets to land in all of sports. You’re packed-up, fantasy pool completed, and you’ve taken the 15 orders for Masters swag from your family, buddies and coworkers. Off to Augusta you go! The next question, however, is what’s the plan once you walk through those gates? 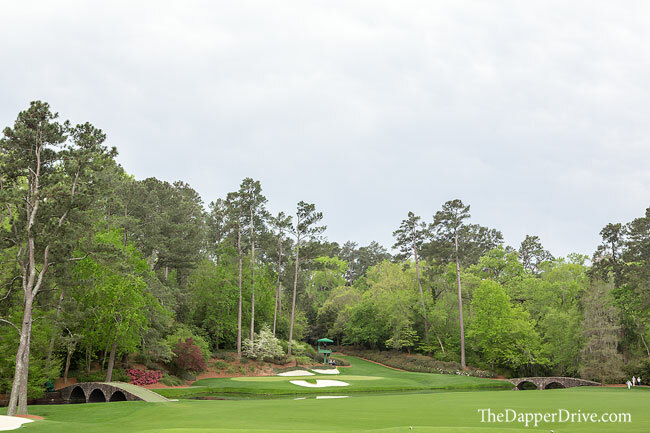 Having had the fortune of attending the Masters on five separate occasions, I’ve learned a few things about navigating Augusta National. I quickly discovered that there’s far more to successful spectating than finding Rory, Ricky or Speith on the tee sheet and running to their hole in hopes of getting a glimpse of these larger than life stars. 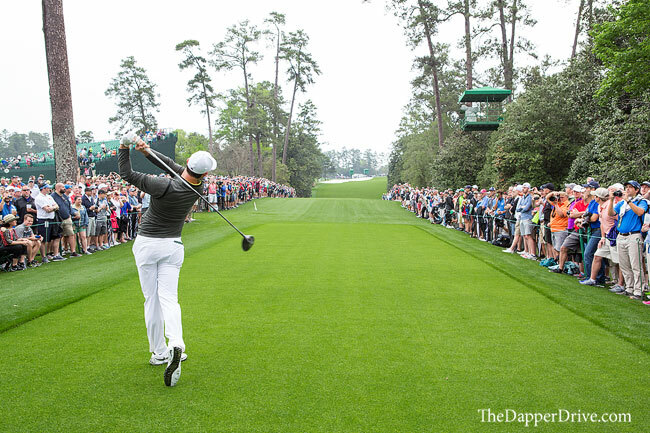 If it’s your first time at Augusta, I can imagine you’ll want to be out on the course rather than posted up at a driving range. 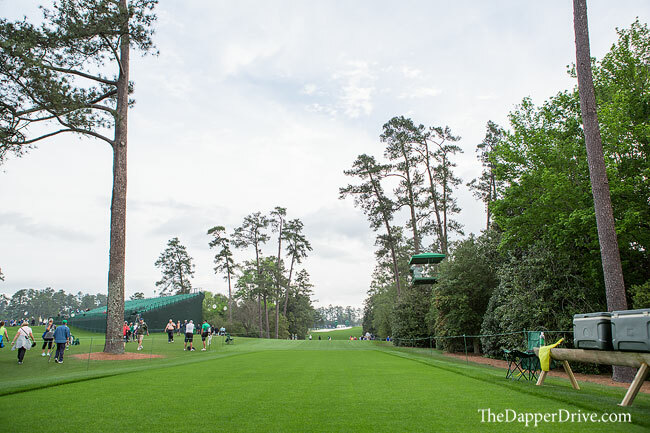 However, if you want to be mesmerized by the best players in the world hitting a variety of shots, the practice area grandstands are a great place to spend an hour. Entering through the North Gate, you’ll pass both the 18-acre driving range and short game area on your left. Make it a point to spend a little time here at some point throughout the day. 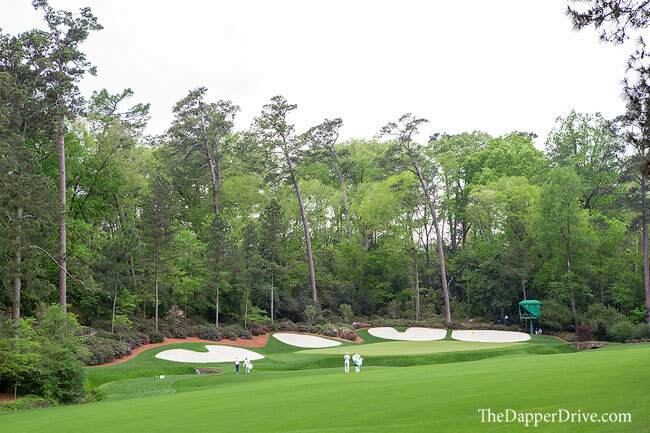 Without failure, every first time Master’s patron will marvel at the amount of sheer elevation changes at Augusta National. You’ll notice it walking throughout the golf course, but no view portrays it better than from behind the clubhouse near the large oak tree. 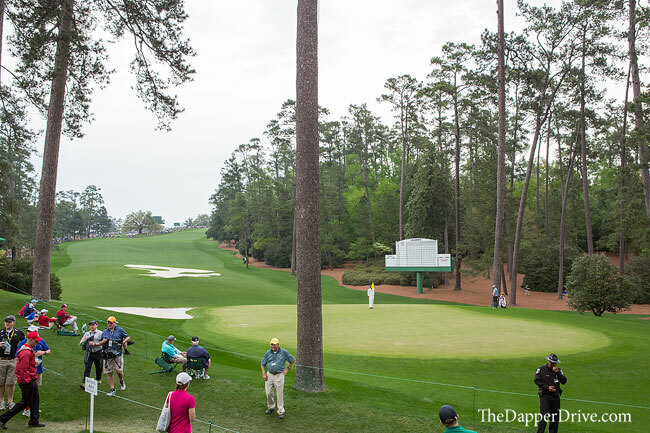 It’s the highest point on Augusta National, offering panoramic views of the property. It will only take a few minutes of your day, and is located just up the hill to the left when you reach the golf course through the North Gate. 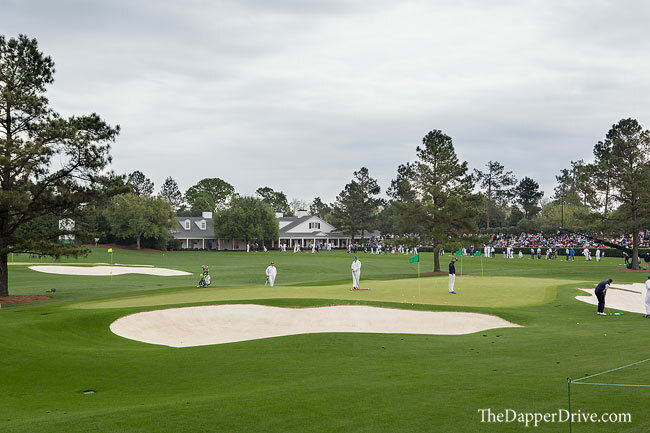 PS – It’s a great spot to get close to players too, as foot traffic off 18 green leads competitors up to the clubhouse. Also, the main practice putting green, #1 and #10 tees, and #9 and #18 greens are all within a stones throw of this spot, too. It’s located a bit “off the beaten path,” but that’s what makes it so special. Tucked back in the trees and framed by an ivy covered brick wall, it’s not a part of the course that sees a lot of patrons. It’s quiet. It’s serene. And it’s an ideal spot to have a more intimate experience with players. It’s early enough in the round to witness a competitor’s nerves, and if you’re lucky enough, perhaps a nod or ‘fist bump’ from one of the game’s best. See 2nd tee box here. One of the best spots to witness a variety of holes and shots. 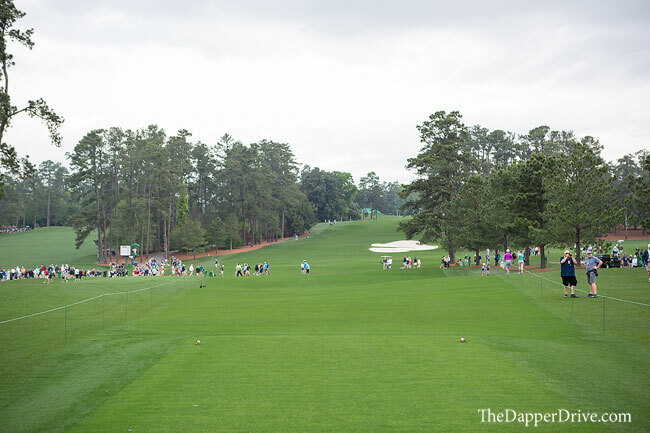 Behind the 7th green is a set of grandstands that gives you a front and center view of the entire 7th hole, including the very difficult, undulating green. Down the hill and to the right, you can see tee shots on #3, as well as the green and approaches to the downhill, par 5 2nd hole (one of the coolest shots to watch on the course). To your immediate right, tee shots on the par 5 8th hole can bee seen in the near-distance, too. Lots of action from one central viewing area! Stand directly behind the 8th tee box and watch these guys give it a rip. There will be no holding back on this uphill 570 yard par 5, so if you’re wanting to see any of the big hitters unleash their power, this is the place to do so. It’s a quick walk over from the 7th green grandstands, and you can also witness action on #17 green about 25 yards behind you. Position yourself on the right side of the tee box, where again you can see players take a rip on a par 5. I enjoy this spot too because you can turn around, and watch approaches and putts on the severely downhill, dogleg left 10th hole. The tee is elevated enough that you can view the putting surface on #10 without any issues. It’s just a few minute walk from the 8th tee. 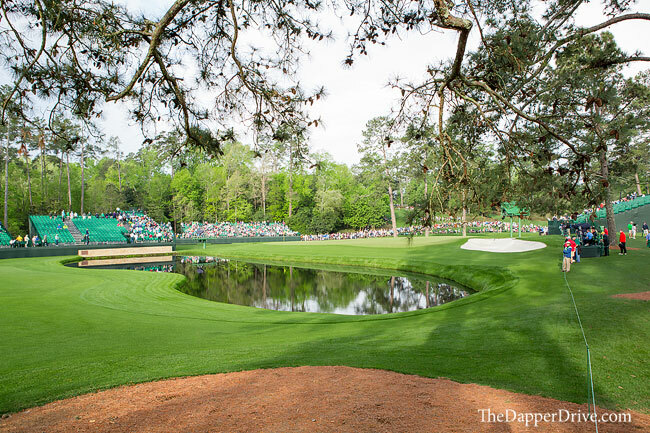 You’ve certainly heard the stories – triumph and heartbreak – that have come from this three hole stretch. Each and every year, it produces some of the loudest roars on the course, especially on the weekends. This is one of the furthest points from the Clubhouse (and North Gate entrance) and there are three spots worth checking-out. The first is behind the 12th tee box. There’s a set of grandstands, but it’s worth noting that this is one of the most popular spots on the golf course and can be very crowded. There’s plenty of room to stand though too, so you’ll be able to see all the action. Approach shot and putting green on #11 and the entire par 3 12th are in view. It’s a beautiful part of the property and one you absolutely cannot miss. 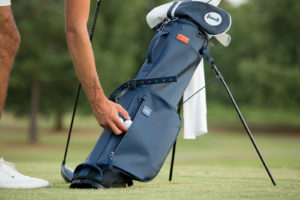 (There’s a hospitality area close by too, so it can be a nice spot to enjoy those famous pimento cheese sandwiches and peach ice cream sandwiches). 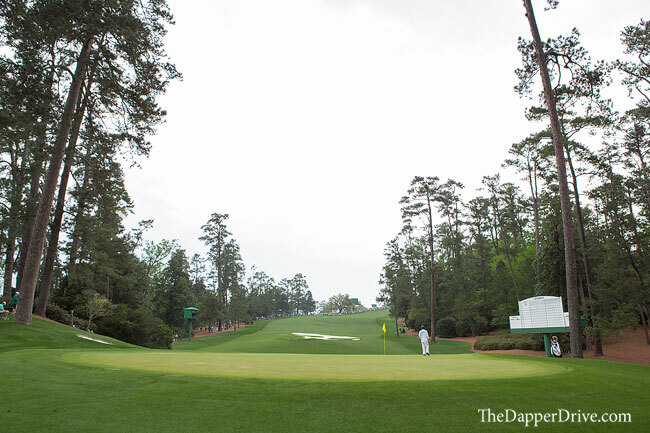 The second spot is along the ropes on the 13th fairway, the famed par 5 dogleg left hole. 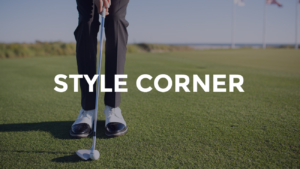 Position yourself at the corner of the dogleg and you’ll have unencumbered views of tee shots to your left, and approach shots / putting green to your right. With azaleas in full bloom, it’s another magnificently beautiful spot. 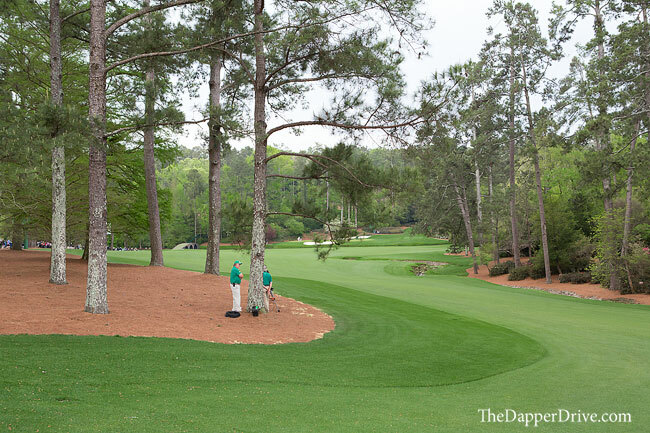 As an alternative to the fairway on #13, standing to the right of #14 tee allows you to see all the action on #13, while also gaining an up-close view of drives on #14. One of the great risk-reward par 5’s in golf, the grandstands flanking both sides of #15 green offer a great perspective to watch players go for the green in two, or layup and hit a delicate approach over water to this narrow green. Position yourself on the far side of either set of grandstands (I prefer the one to the right of the green) and you can turn to watch the action on the par 3 16th, too. This is a must see spot if you attending during a practice round as players will skip shots across the water and onto the 16th green. Really cool stuff! One of my favorite spots is standing directly behind 18 tee, watching players smash drives through the narrow opening on the home hole. 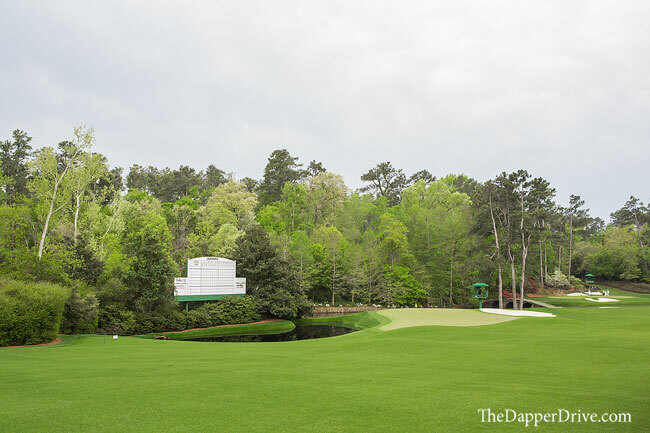 It doesn’t lend to seeing much other action (17 green is somewhat in view), but if you can grab a spot right on the ropes, it’s a beautiful view of the final hole that often will decide the Masters champion. So here’s the deal. 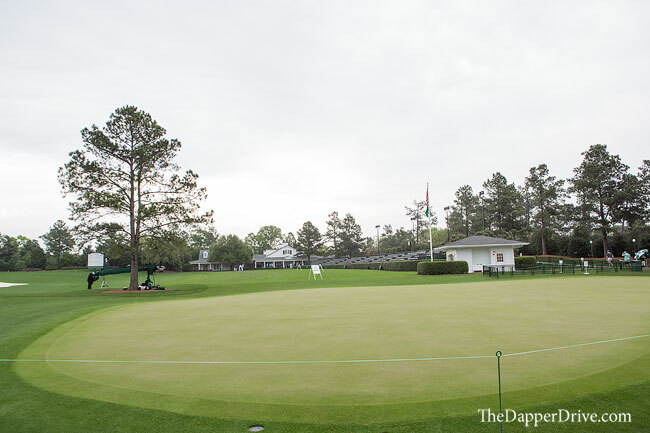 You area allowed to bring fold-able chairs (with no arm rests) into Augusta and set them next to any green for spectating. You can then leave them unattended as you walk the course throughout the day, and come back at any time to sit in your claimed spot! 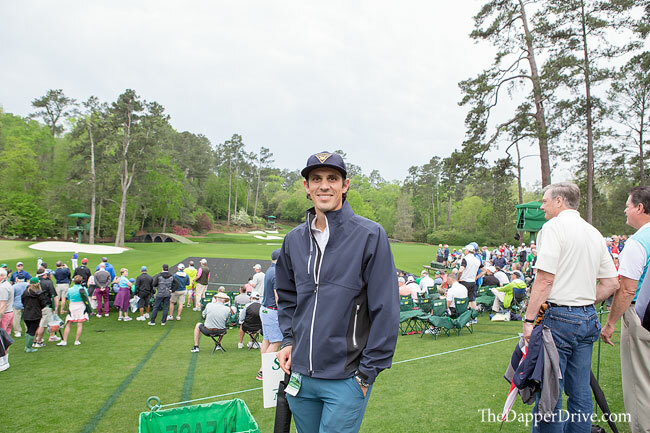 It’s a unique aspect of spectating at Augusta National. With that in mind, if you’re planning to arrive when gates open (8am most days), I’d head straight for the 18th green and claim your spot. Once you’ve seen all you wanted out on the course, head back and enjoy watching groups finish their rounds. Truthfully, I’m a huge fan of walking the entire golf course. This year, we attended the 2017 Master’s Wednesday practice round, which unfortunately was cancelled due to severe weather after only 3 hours. 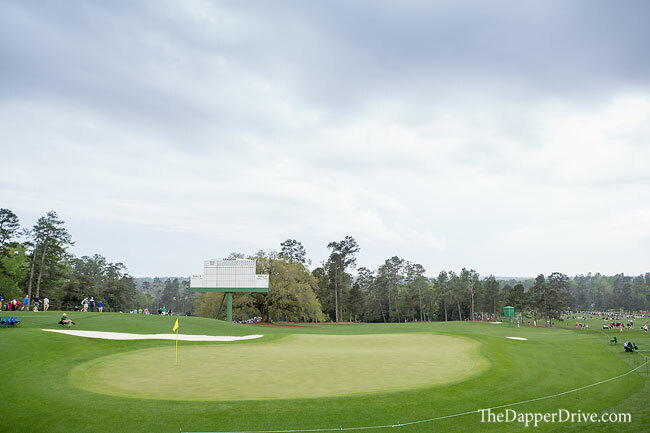 However, when I’ve had a full day at Augusta, I like to show-up at 8am, walk the course in the morning, and then do some hopping between the aforementioned viewing spots during the afternoon. It’s a hilly property, so if you plan to do a lot of walking, prepare to be tired by day’s end. You never know if you’ll have the chance to return though, so be sure to take full-advantage of this bucket list experience. Happy spectating! Great points here, you nailed it! A great guide for any first time visitor. I haven’t been since 2007 and am itching to get back! Thanks Jimmy. There are so many good spots, it’s hard to narrow them down but glad to hear we share a few favorites!